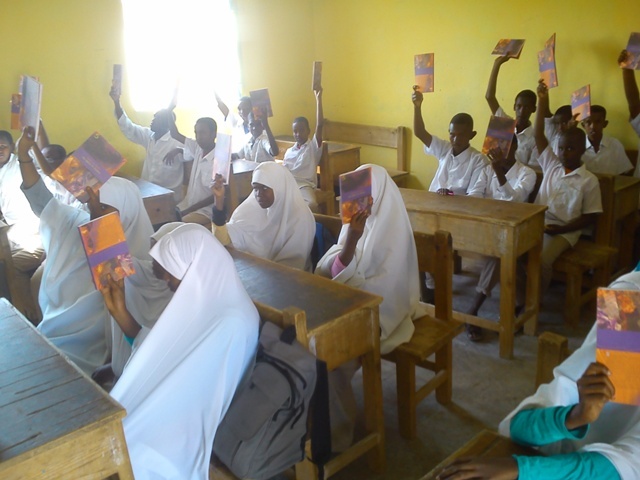 The Mobile Library was initiated in Garowe, Puntland, On Oct 28, 2014. SFS started first mobile library initiative in Somalia. 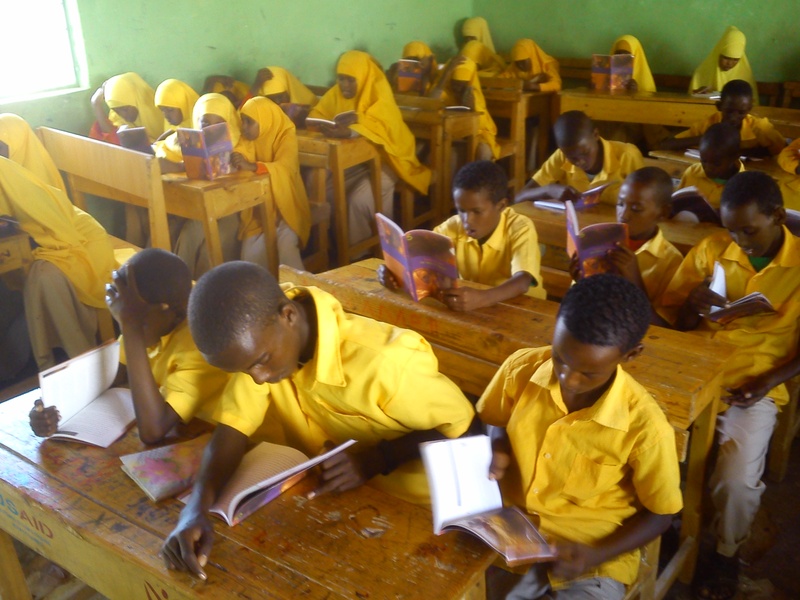 Each morning at 8:00pm (Saturday-Thursday), a mini-van with over 2,000 reading textbooks depart from our main library and heads-out to two schools in Garowe whereby librarian distribute the books to the students and also does book reading loudly for the students. 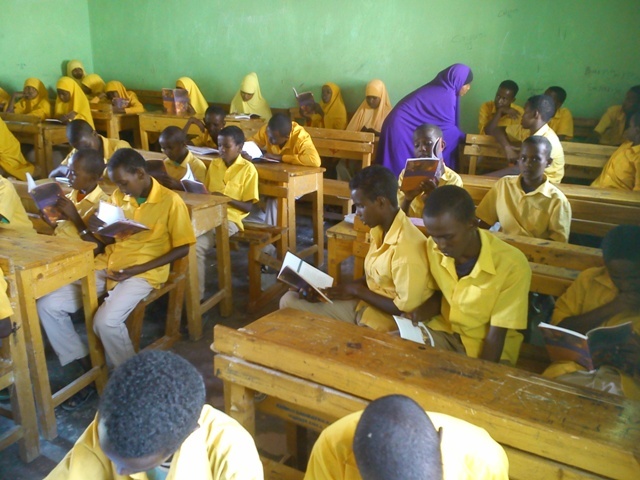 The culture of reading in Puntland is all time low. Many schools do not have libraries and if they have do not have adequate reading textbooks. Many schools are struggling to establish libraries at their schools and make reading textbooks accessible to their students. Hence, our mobile library responded to such needs. As a new initiative SFS targets 16 schools in Garowe. This initiative is co-sponsored by UKAID. Radio Sahan and Puntland Library and Resource Center equally contributed to books being in the hands of children and media coverage. SFS is commit tied in establishing libraries, building schools, supporting libraries, building schools, supporting libraries and schools and putting books the hands of Somali children. SFS is currently establishing another Library and Resource Center in Kismayo, Jubaland that will be very much similar to the one we have established in Garowe in the year, 2007. It is not the first time SFS supported communities through mobile but has established and supports mobile schools, while also our community radio (Radio Sahan) airs lessons that designed to reach and benefits nomadic communities.